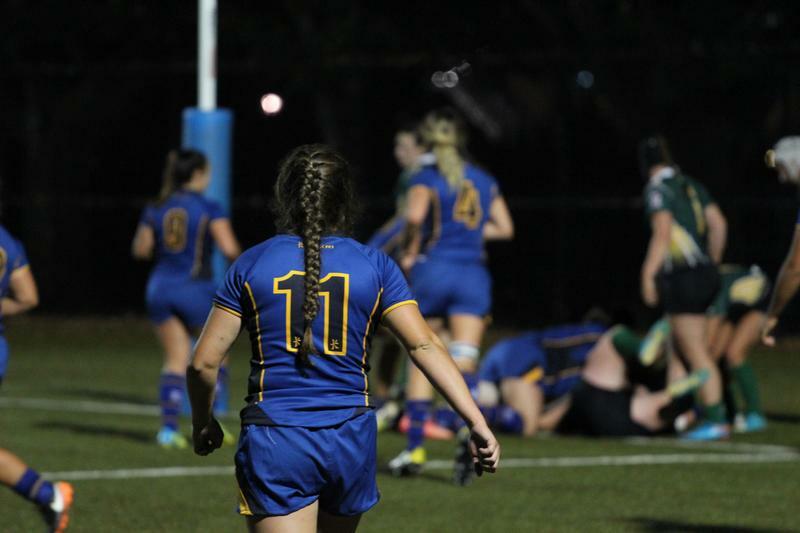 The T-Birds women’s rugby team reached an important milestone Friday night in their season opener against the University of Alberta Pandas — beating the Edmonton side for the first time in the team’s history. Prior to Friday’s game, the ’Birds had faced the Pandas 19 times in U Sports competition, dating back to their first encounter on Halloween weekend in 1999. A close game forced the ’Birds to be at their absolute best from the first minute right to the 80th. The Pandas opened the scoring early on in the second minute of the game, successfully converting a try to take a 7-0 lead. The ’Birds were quick to respond though — rookie winger Shoshanah Seumanutafa scored the first of her three tries in the game in the seventh minute, making it 7-5 for the visitors. She scored again just before the end of the first half, giving the 'Birds their first lead of the game at 10-7. This time it was the Pandas’ turn to respond, which they did with a try of their own to take the lead at the half. The Pandas opened scoring early in the second, but missed their first conversion, making their lead only 19-10. From this point on, the ’Birds controlled the game as they went on to score three unanswered tries. One was from scrum-half Alayna Scramstad, while wing Brooke Bazian made the ’Birds’ first successful conversion of the night. The second was a penalty try that came with an automatic successful conversion after Seumanutafa was fouled in the corner of the Pandas’ zone. The last one was a proper try from Seumanutafa as the ’Birds climbed up to a 29-19 lead — the final score in the match. It’s an important and meaningful win for the young Thunderbirds team, of which nine players are in their first year of U Sports eligibility and a further 11 are only in their second. With success out the gate, the ’Birds will need to regroup quickly before travelling to Victoria this weekend to take on the University of Victoria Vikes on September 24. It is their only road trip of the regular season.